ePublishing Knowledge BaseePublishing Knowledge BaseePublishing Knowledge Base EditorialHow do I create an article? This article also includes basic functionality, such as publishing an article, assigning an author, using the WYSIWYG editing tool, inserting an image, associating related content and editing SEO. 1. In the navigation at the top of your dashboard, hover over Editorial and click Create next to Article. To edit an existing article, click on Search & Edit. 2. 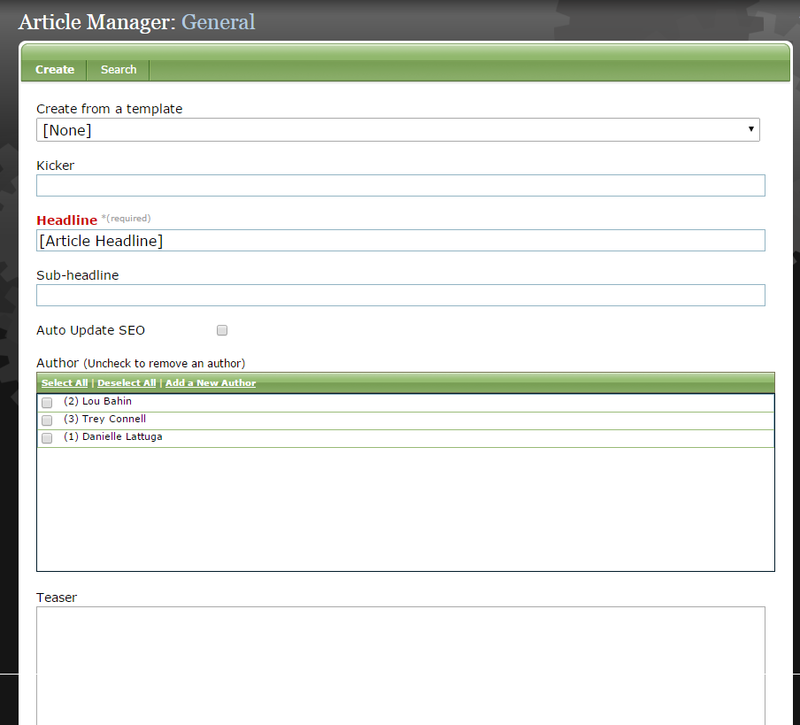 After selecting Create, the Article Manager will appear. 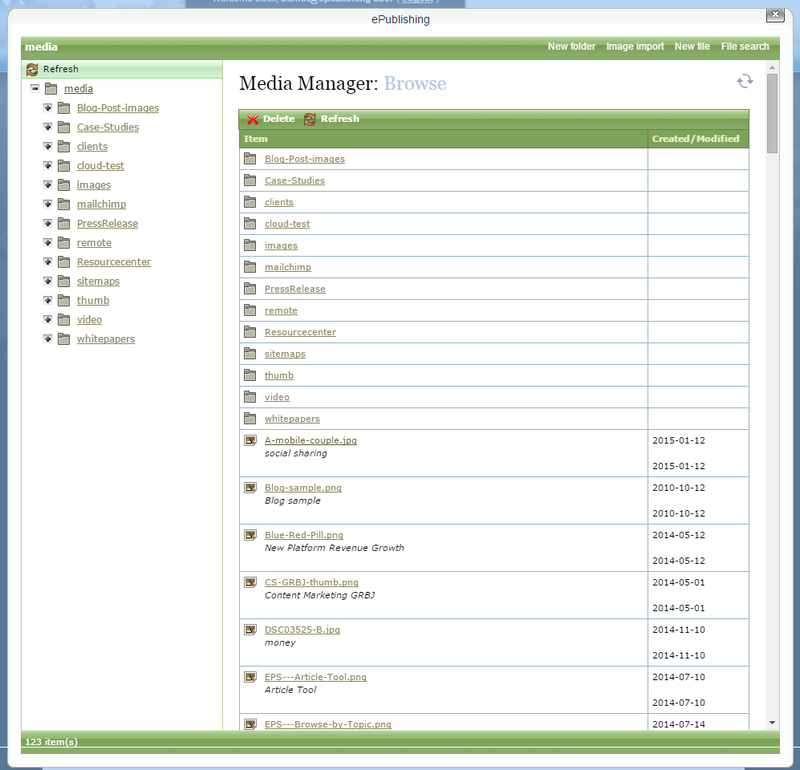 Zoom: After selecting Create, the Article Manager will appear. 3. A headline is required, but you may also add a kicker and a subhead by clicking in the respective fields and replacing the text. Zoom: A headline is required, but you may also add a kicker and a subhead by clicking in the respective fields and replacing the text. 4. Select an author for this article. Zoom: Select an author for this article. 5. Write a teaser for this article. Zoom: Write a teaser for this article. The teaser appears in Search results or in email Alerts or Newsletters under the headline. 6. Add the body text for this article. Zoom: Add the body text for this article. 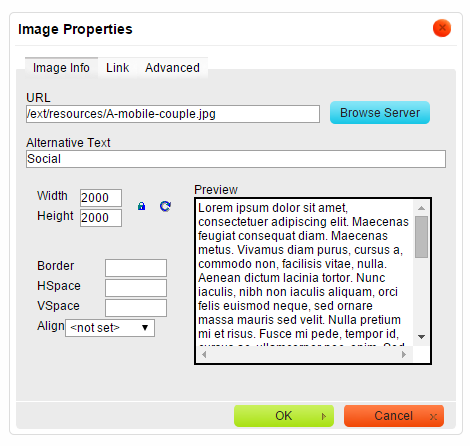 You may type the copy directly into the Body 1 box, using html to format. 7.1. You may type your article directly into the editor. 7.2. To paste your article from Microsoft Word, click on the Word icon at the top of the editor. For best results, use this icon instead of pasting directly from Word into the body of the WYSIWYG. 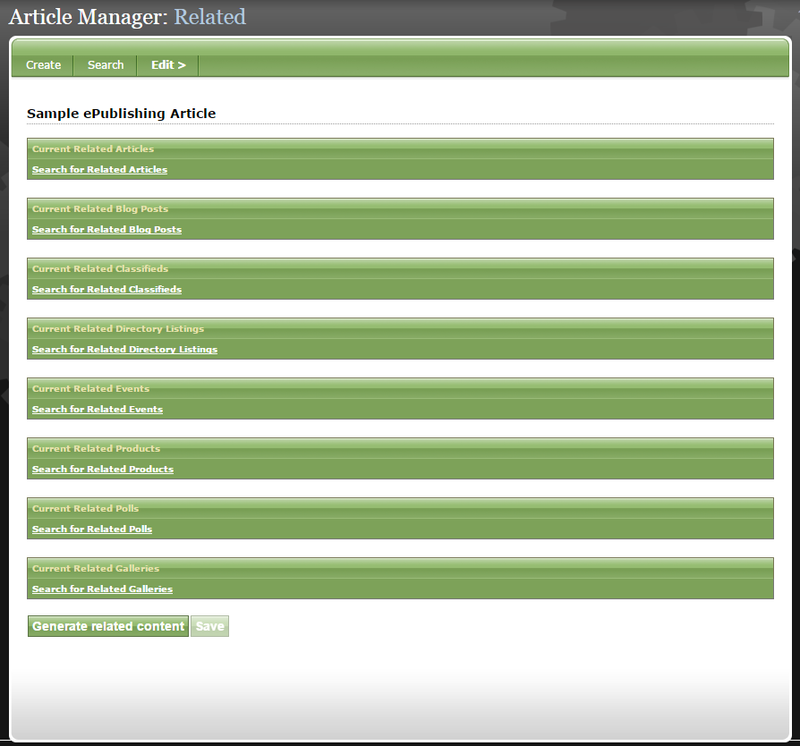 This will ensure that any formatting translates from Word into the ePublishing Article Manager. When you click the Word icon, a pop-up box will appear with further direction. 7.3. 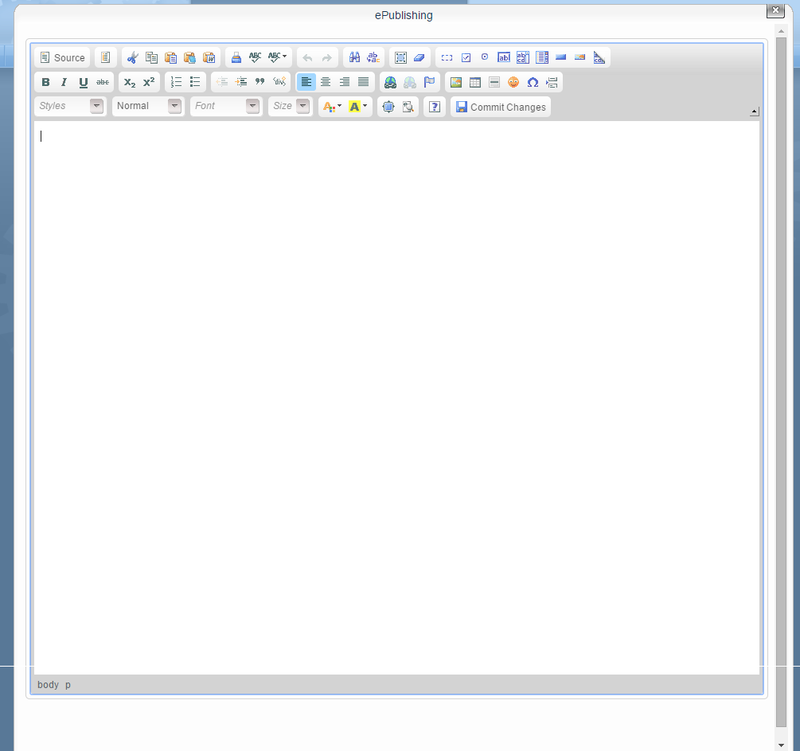 You may also copy and paste your article using the Paste as Plain Text tool in the editor. 7.4. To format your article, use the buttons in the WYSIWYG toolbar. The most common formatting tools are circled below. Zoom: To format your article, use the buttons in the WYSIWYG toolbar. The most common formatting tools are circled below. In addition, you may adjust the font, size, style and color. 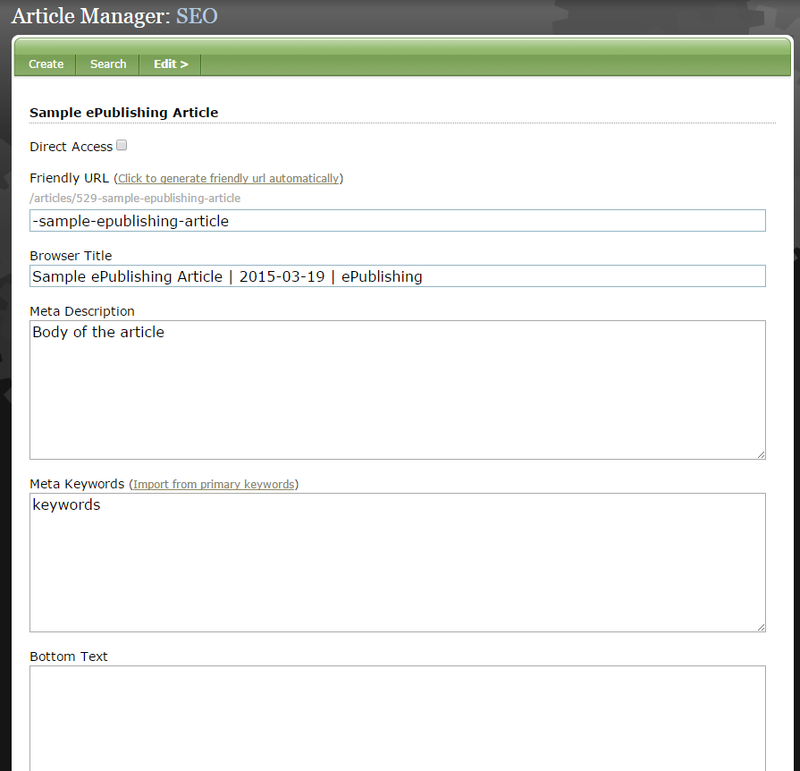 However, the text will default to the styles defined by your website for articles. For more advanced editing tips and tricks, please read How do I format content in an article or blog post? 7.5. To add a hyperlink, highlight text and click on the icon below. 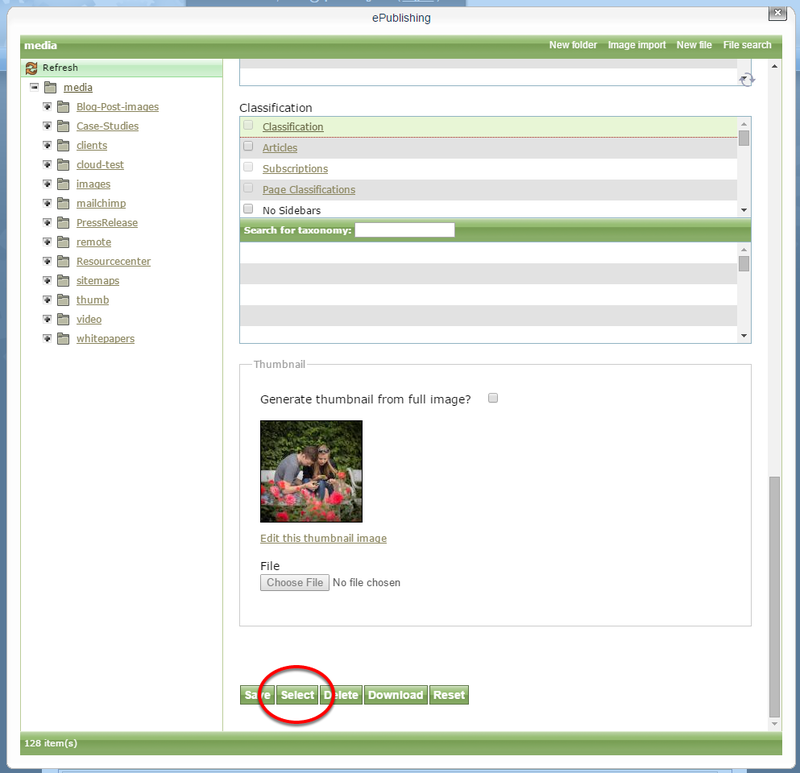 For more details on adding images or other media to your content, view our article on How to Use the Media Manager or How to Use the WYSIWYG. 8.3. Adjust the settings for your image and click OK.
8.4. 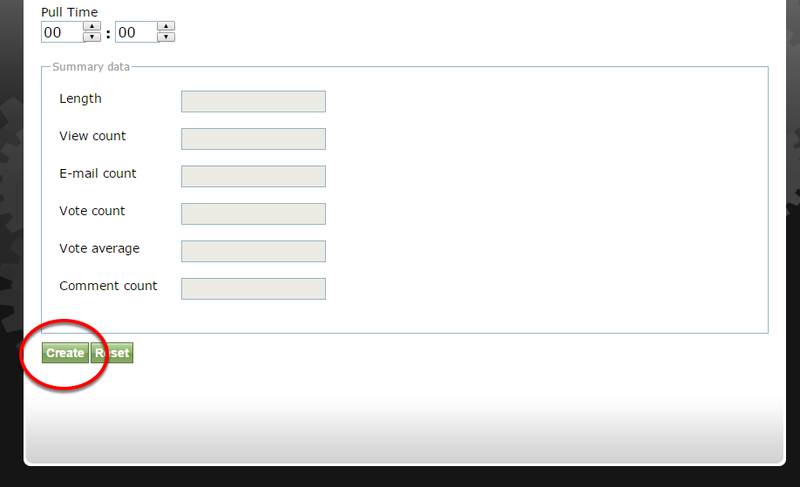 Scroll to the bottom of the image properties, and click on Select. 9. When you are finished formatting your article, click Commit Changes. 10. Add keywords by typing a keyword and hitting Enter on your keyboard. 11. Select where you want the article to appear on your website. Zoom: Select where you want the article to appear on your website. 12. Set a Go Live Date and Go Live Time. 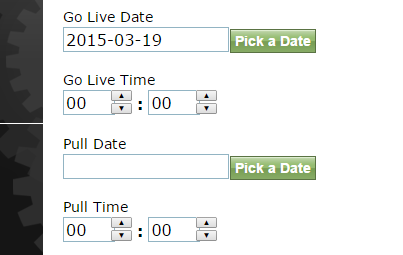 "Go Live Date" "Go Live Time" "Pull Date" and "Pull Time" are set in Eastern Time (EST). If you'd like the article to only appear on your website for a set period, you may also set a Pull Date. 13. Click Create at the bottom of the page. 14. Return to the top of the Article Manager and hover over Edit. In the dropdown, select Supplemental. 15. Now you will have the opportunity to add taxonomy tags, or Topics to your article. An example is shown below. 16. 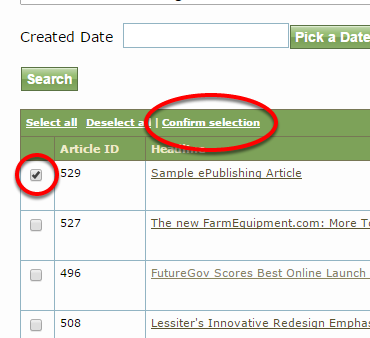 Under Topic/Category, select the applicable topics that relate to your article. Click Save. Zoom: Under Topic/Category, select the applicable topics that relate to your article. Click Save. For more on the Taxonomy Manager, and setting up, adding or editing topics, read this article. 17. Return to the top of the Article Manager. Hover over Edit and select Related. 18. On this screen, you will select the related content you want to appear next to your article. Zoom: On this screen, you will select the related content you want to appear next to your article. 19. If you select Related Content manually, a pop-up will appear. 20. Click Save and return to the top of the Article Manager. 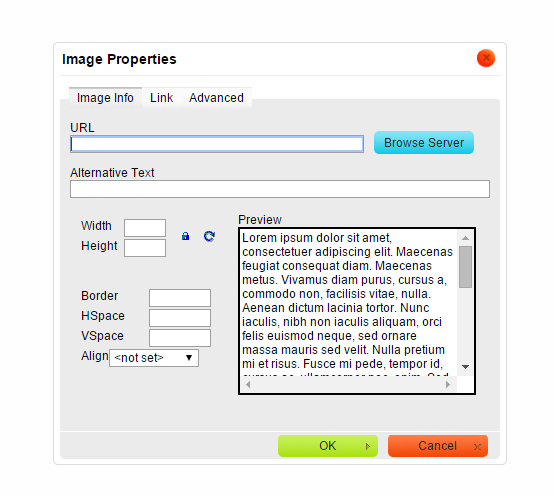 Hover over Edit and select SEO. Zoom: Click Save and return to the top of the Article Manager. Hover over Edit and select SEO. 21. Now you are ready to publish your article. 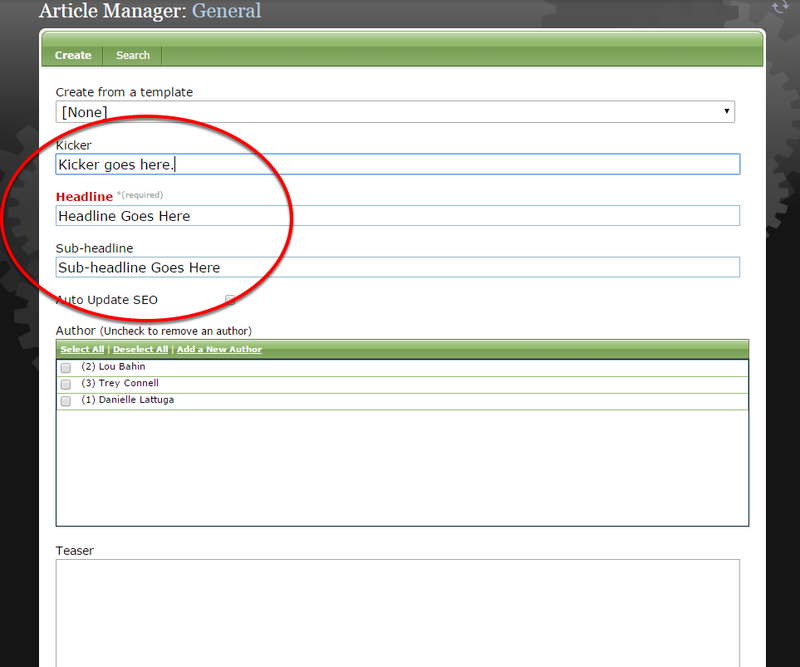 Return to the top of the Article Manager, hover over Edit and click General. 22. At the top of the page, click the green Publish button. 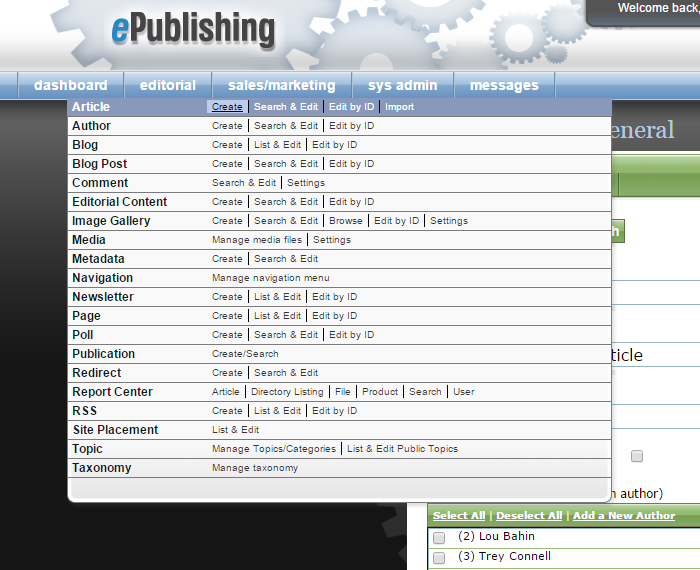 Zoom: At the top of the page, click the green Publish button. Your article will automatically go live upon clicking the Publish button. Prev: What are the standard ePublishing templates for a website? How can I see them on my website? Next: How do I create a blog?